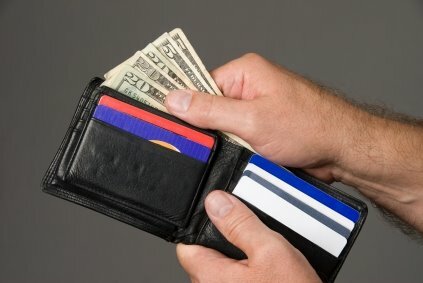 Getting cash back from a credit card is like getting free money – or is it? It turns out that the words “cash back” are not enough to assure that you will actually get cash back from your purchases. It all depends upon the credit card and the fine print in your agreements. Some cards charge an annual fee for the privilege of getting cash back. In order for you to know if it makes sense you need to determine how much you’ll spend in a given year. For instance, if your cash rebate is 2% of your purchases and the annual fee is $35, you’ll need to charge $1,750 per year just to break even. Some cards offer a tiered cash back plan – wherein their percentage goes up at intervals as they spend more. So it might start at 1% and go up as high as 5%. Again, you need to look at how much you typically spend per year. Next, unless you can and will pay your balance in full each month, look at the interest rate. If you’re paying 29% interest that 2% doesn’t count for much. After annual fees and interest rates, check to see if your rewards have an expiration date. Some cards will only rebate your cash back after you’ve reached a specific threshold – say $100. If you don’t reach that by the end of a set period of time, your rewards will dissolve into nothingness. Low caps are another trap. Some cards limit the amount you can earn, no matter how much you spend. If you use your card for business and run large sums of money through it every year, check to see that you’ll be rewarded for all of your purchases, not just the first few months’ worth. If the card offers cash back on fast food, read to see which stores are included and excluded. You may find that your favorite fast food place is not on the list of approved establishments. If it offers money back on gasoline, see if it will honor gasoline purchased at the neighborhood quick stop that just happens to have 2 pumps outside. Reading the fine print is tedious and time-consuming. Sometimes it requires a magnifying glass. But if you want to get real value from any kind of rewards card, and not spend your time fuming because you didn’t get what you expected, you must read the fine print. This entry was posted on Saturday, July 11th, 2009 at 8:49 pm	and is filed under Uncategorized. You can follow any responses to this entry through the RSS 2.0 feed. Both comments and pings are currently closed.